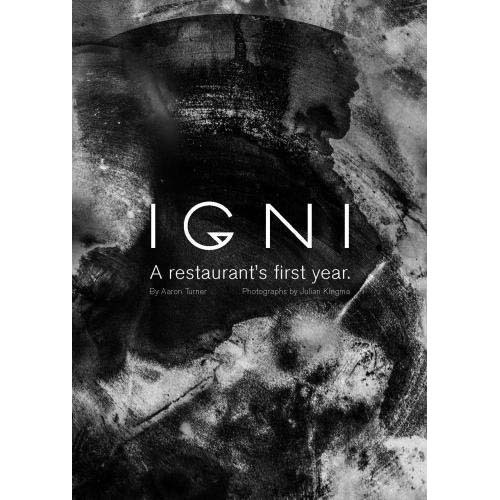 From the first six months, through a mid-year break of camping and cooking in the bush, to the harsh winter months and on to the end of its first year, this book tells the story of IGNI, a high-end degustation restaurant in a Geelong backstreet. Documenting a warts-and-all account of what it takes to open and run a new restaurant, chef and owner Aaron Turner reveals the daily challenges he faced, from the financial strains, the stress, fear and tantrums, to personal crises and the pressure of success and failure. His story is told through dated ‘diary’ entries of the author’s own reflections, the development of recipes, a gradually unfolding narrative through each chapter, and stunning photography from award-winning photographer Julian Kingma that captures the food, moments and brilliance of a determined young chef in a new restaurant.